We are transitioning to seasonal farming supported by a members co-op. Pono Farm is a butcher shop and deli luncheon that prepares and sells products sourced directly from animals raised sustainably on our farm in Culver, OR. We are the only true farm-to-table shop in Central Oregon. 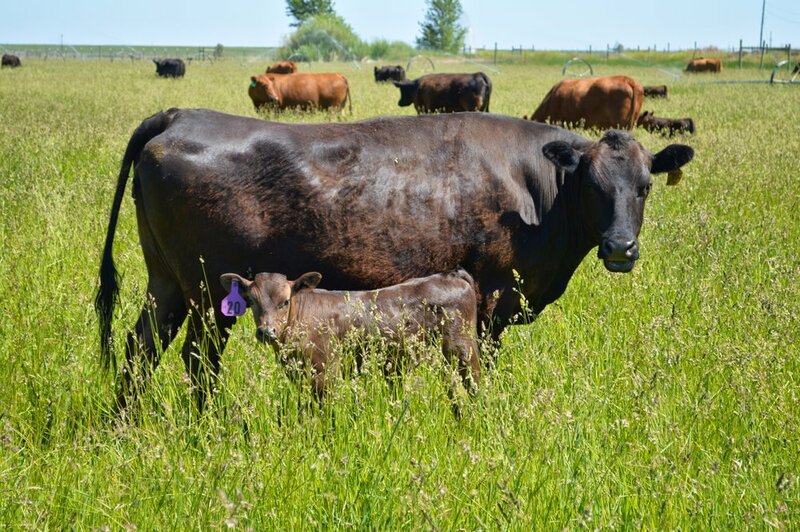 Our farm specializes in producing premium Wagyu and Red Angus beef, Heritage pork, and eggs from healthy chickens raised sustainably on pasture and without the use of antibiotics, administered growth hormones, or steroids. We ensure our animals are healthy and enjoy a good quality of life by feeding them premium pesticide-free grass and hay over their entire lifecycle and providing them with fresh water sourced from Opal Springs. We grow our animals to full maturity not only because we believe in humane farming practices, but also because it allows them to develop highly-prized intramuscular marbling and a more complex flavor in their meat, which simply can’t be achieved by conventional farming. Once our animals have reached full maturity, they are taken to a USDA-inspected abattoir. Carcasses are transported to our butcher shop, where they are broken down for our kitchens and meat cases. Our butcher shop features cuts from the entire carcass, which means that our cases showcase a large variety of cuts not found in most markets. By overseeing the entire process, we ensure that our customers receive a product of superior quality that was raised and processed with integrity. Our deli shop offers casual counter service, featuring burgers, hot sandwiches, and plate specials showcasing deli meats processed in-house. Visit us for a taste of why responsibly-raised meat makes ALL the difference. We will not be at the Portland State University Farmer's Market this year, but Portland customers may be able to place special orders periodically. For customers interested in buying custom animals, shipping can be arranged. Please get in touch with Camille at camille@ponofarm.com to be added to our email list or for information regarding custom sales.